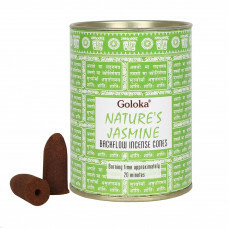 These incense cones can be used with any backflow burner to create impressive smoke flow effects, created using natural ingredients without any animal testing. Goloka have been creating quality incense for over 16 years and part of their proceeds are given to charitable causes that help to provide meals for underprivileged children and providing vocational training and scholarships. Approximate burning time of 20 minutes per cone.